What do you do when you don’t have any friends? 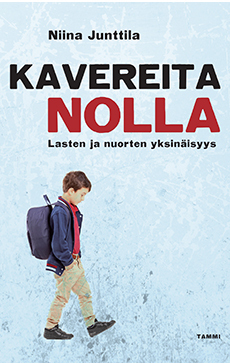 A timely discussion of loneliness among children and adolescents – a far-too-prevalent problem in contemporary society. There are lonely people in every age group, but especially among the young. As many as one-fifth of children and adolescents suffer from at least occasional loneliness and experience anxiety that they don’t have anyone to turn to: a trustworthy confidant, a friendly ear, or even just someone to talk to. Social and emotional loneliness of this calibre has both immediate effects on the lives of young people and far-reaching consequences that may well be irreversible. Zero Friends reviews the latest research on loneliness and delves into the phenomenon through the personal stories of children and adolescents. It asks what we as a society could do so not a single child has to ever feel left out again. 70 But it is girls who are the lonely ones? 79 Why is it difficult to get rid of loneliness? 118 Can you catch loneliness? 120 Where does loneliness derive from? 134 Loneliness in a relationship – can you be lonely together? 144 The difficulty of helping- why should I? 180 What do the lonely children and youth want us to do?